Rescue teams relocated an entangled humpback whale Sunday morning off San Clemente in south Orange County, and were hoping to free the mammal. The 30-foot whale was first located Saturday afternoon off Palos Verdes in Los Angeles County. Experts with the Marine Animal Rescue (MAR) removed some of the commercial fishing gear – ropes with trailing floats – before dusk, and attached a telemetry buoy to enable teams to track the cetacean's movements. 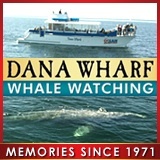 The whale’s location on Saturday night was off Laguna Beach. Sunday’s search, coordinated by NOAA Fisheries, was launched from Oceanside Harbor. The rescue effort involves NOAA Fisheries, the Pacific Marine Mammal Center, SeaWorld and Marine Animal Rescue.